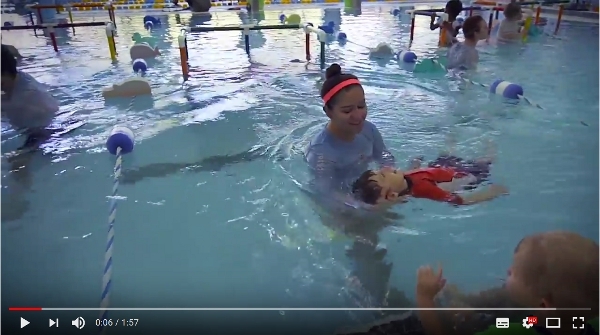 Have you wondered, “Where can I find a swim school near me?” Little Otter Swim School is North Carolina’s leading swim school for infants, toddlers and older kids — serving babies to 12-year-olds. Come to either of our North Carolina locations, in Huntersville or Matthews, which serves the greater Charlotte area, and watch your child experience the joy of confidence in the water. At Little Otter Swim School, we’ve designed our play-based learning to take place in 30-minute classes, once a week. All curriculum is based on age first and skill level second. Find out more about the classes we offer at our swimming school for kids in the Charlotte area or Huntersville by clicking on the links below! Owner Lory Kirk on the benefits of swim lessons.